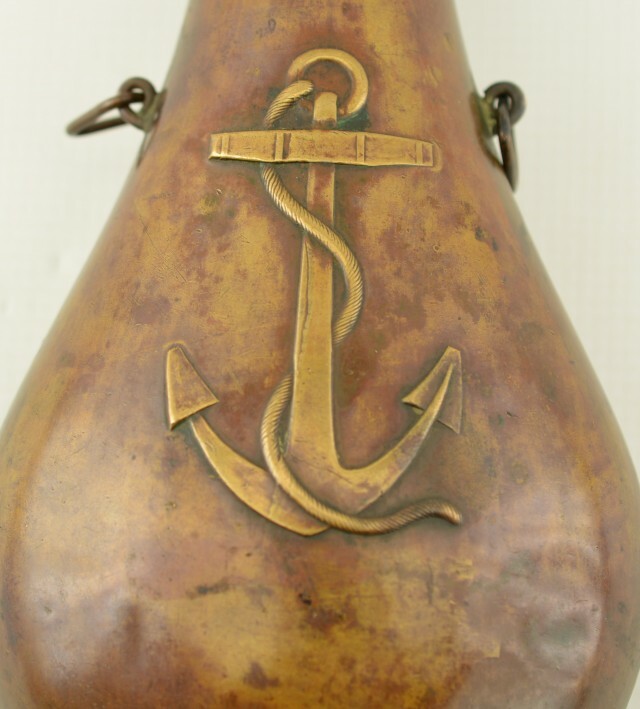 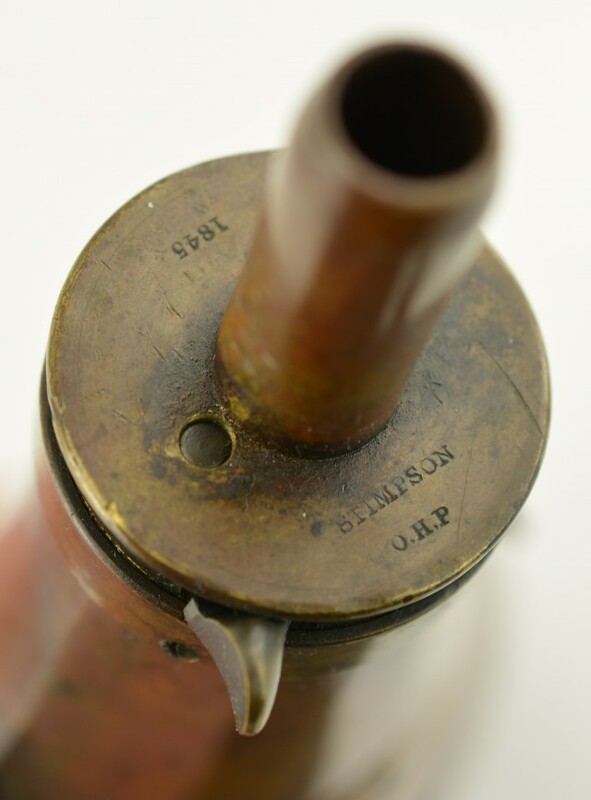 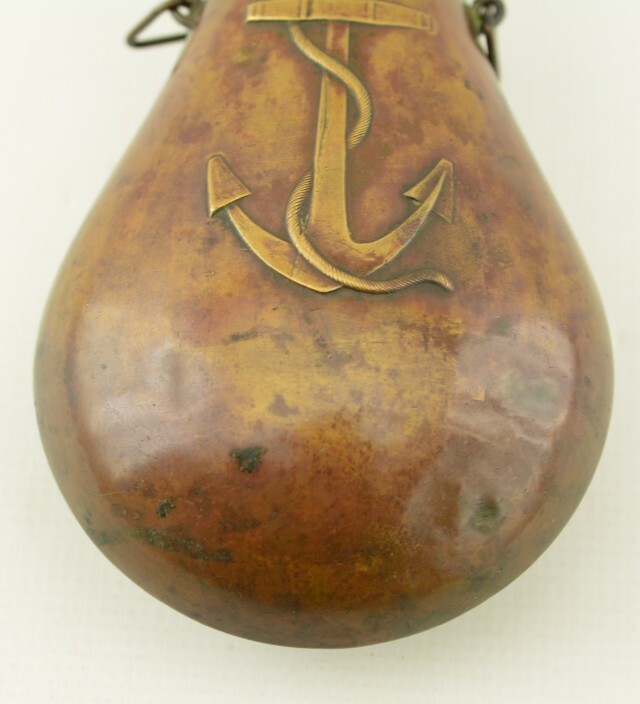 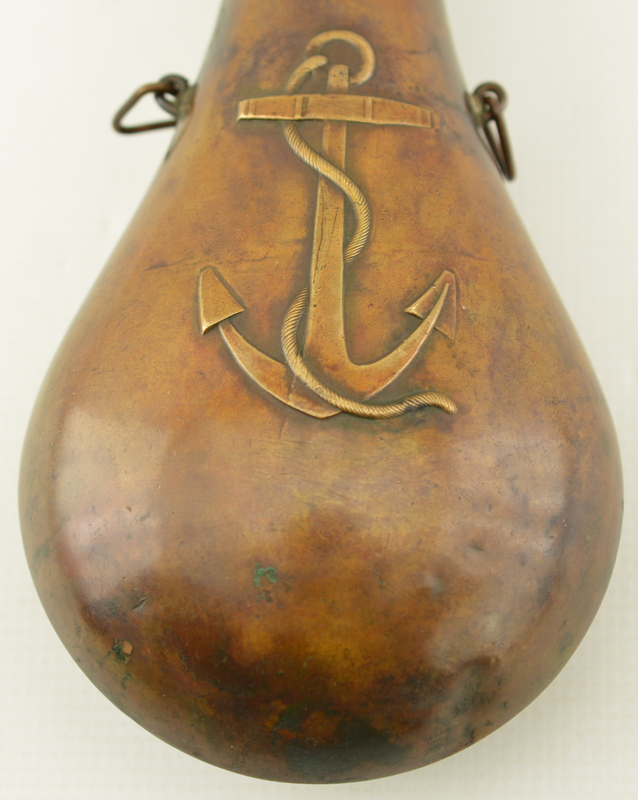 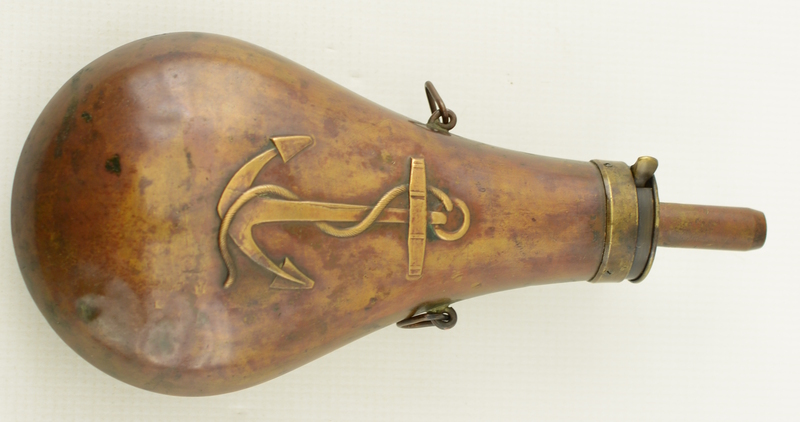 Description: This is an 1845 dated, “STIMPSON / O.H.P.” maker marked and inspected flask with USN Fouled Anchor emblem embossed on both sides. 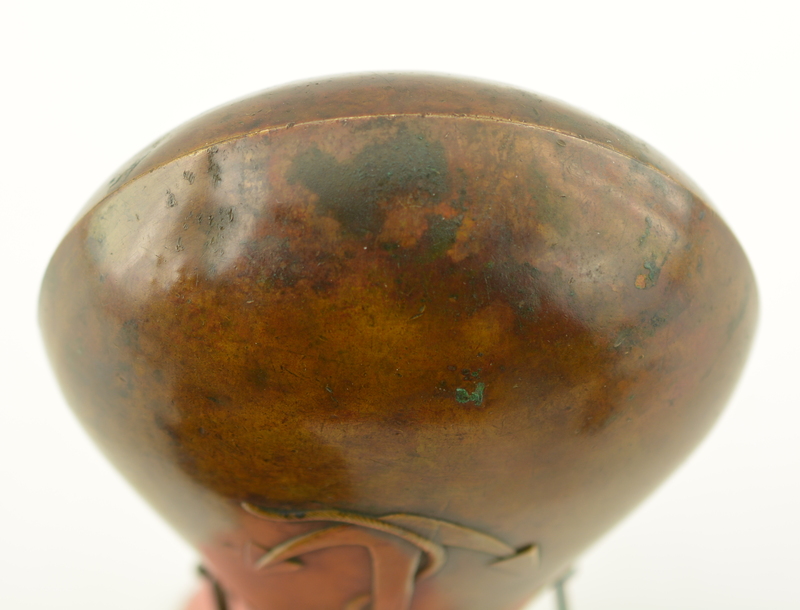 The metal has a mottled, ruddy-brown patina, with a few shallow dents in the body. 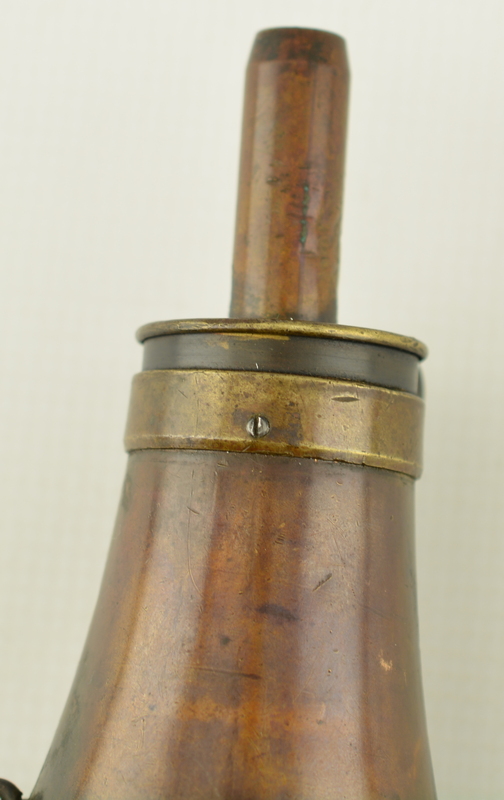 The triangular lanyard bails are still present, and the patent top is fully functional. 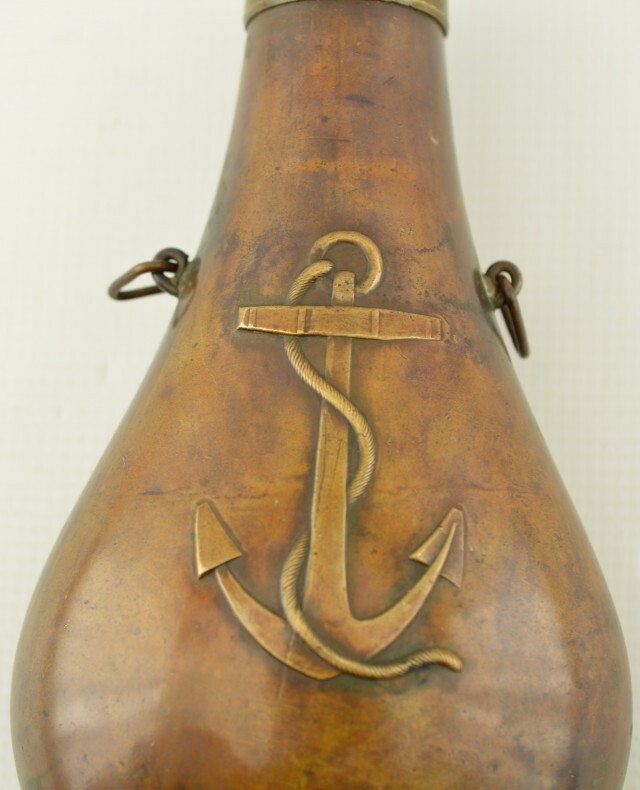 Interestingly, the flask was never embossed with the “USN” under the anchor on either side, but the spacing for the letters is present. 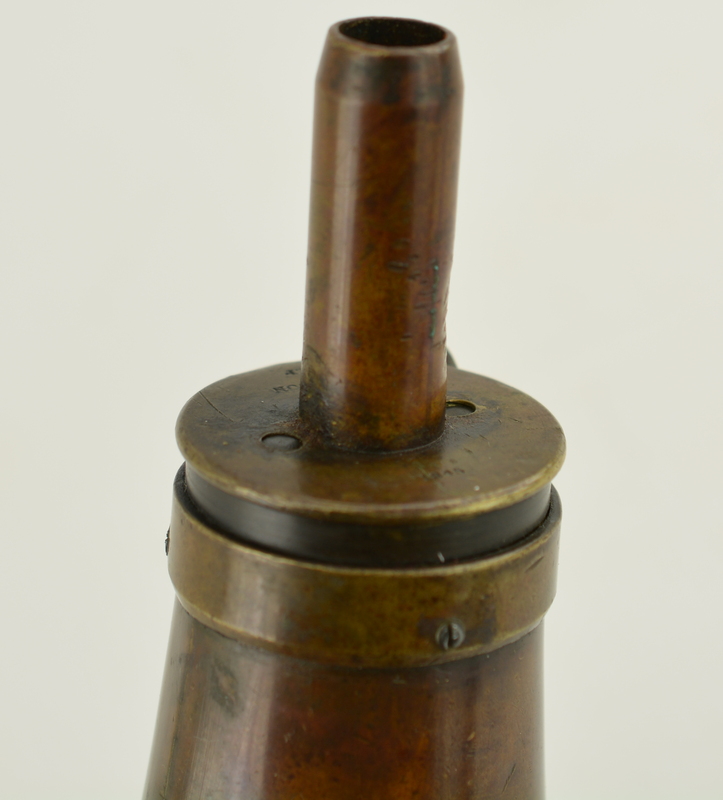 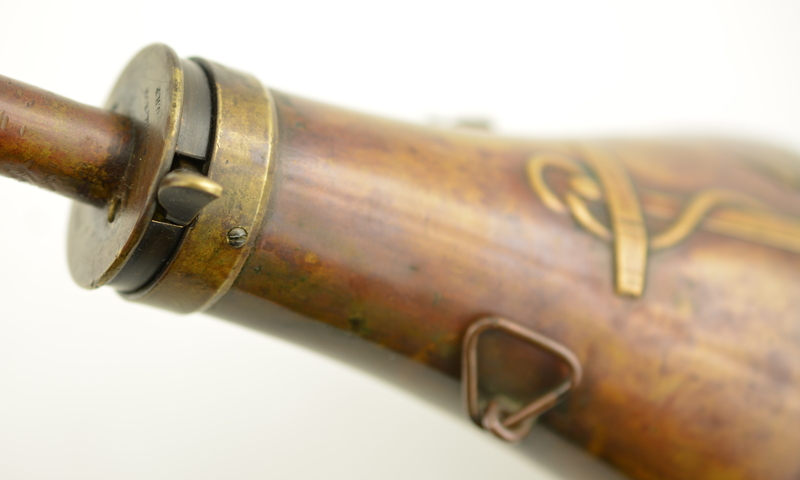 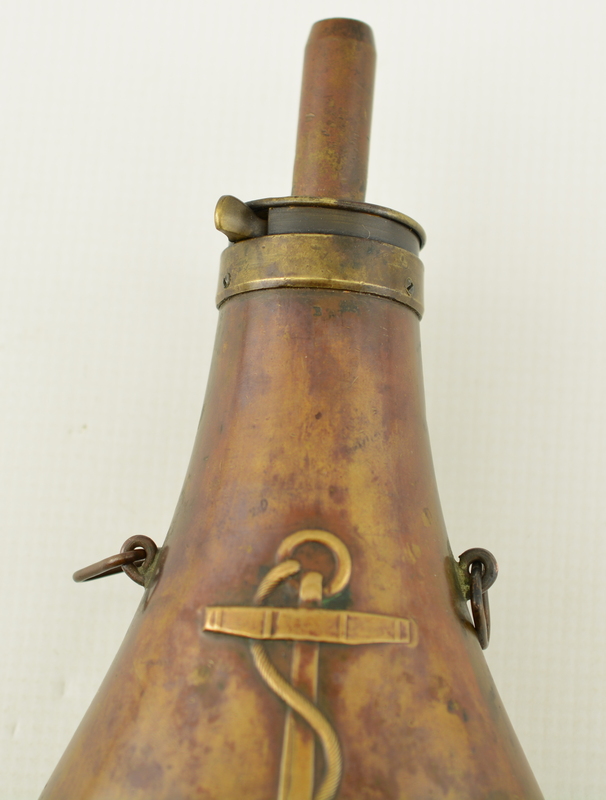 This is a very unusual example of a fairly common military flask, and would make a good topic for research.